Manni has lived in Juneau all his life, and graduated from Juneau-Douglas High School in 2014. 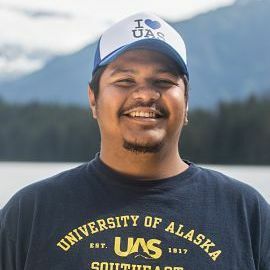 Manni was part of Juneau’s very first AVID class (Advancement Via Individual Determination), a college preparatory course that has contributed greatly to his college success, life goals, and aspirations. His parents are from Mexico and he is the youngest of four siblings. His dream is to become an Immigration lawyer, and his ultimate goal is to fix issues regarding U.S. immigration law. Manni loves Juneau and its people, the Tongass, his parents and family, football, Mac Demarco, and God.